United Turf Alliance recently launched the new granular fungicide ArmorTech® ZOXY®-PG to enhance the line of professional turf management products. ArmorTech ZOXY-PG is a granular fungicide combining 0.31% Azoxystrobin and 0.75% Propiconazole. A broad-spectrum fungicide, it utilizes both root and leaf uptake to deliver preventative and curative control up to 28 days. ZOXY-PG targets foliar, stem and root diseases such as leaf and stem blights, leaf spots, patch diseases, anthracnose, fairy rings, mildews, molds and rusts of turfgrass. The high quality of ZOXY-PG’s granule formulation delivers application flexibility for golf courses, lawn and landscape areas, recreational areas, and athletic fields. The product is available for purchase in a 30 lb. bags from the United Turf Alliance member companies and dealer partners. 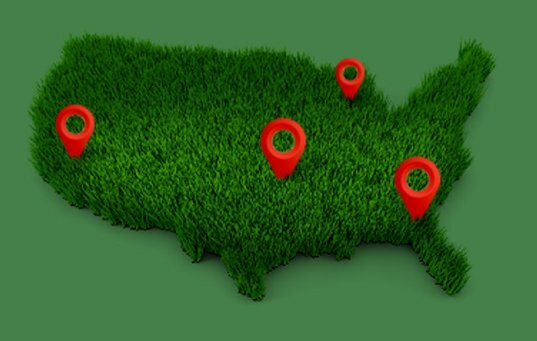 “Our owners have an ongoing commitment to be the supplier of choice to professional turfgrass managers,” United Turf Alliance CEO George Furrer said. “We are excited to introduce a new and innovative product for turf disease control that can be utilized in the lawn and landscape, golf, and athletic field markets.